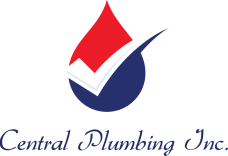 Central Plumbing is a Plumbing Contractor and Showroom offering water heaters, faucets, plumbing fixtures, sump pumps, and more! Serving all of Central Michigan Since 1976, Central Plumbing has been furnishing plumbing material and installation in the Central Michigan area. As a family owned and operated plumbing business, we try to make our customer’s visions a reality. We have a crew that can meet every plumbing need from faucet repair to new home plumbing. Our technicians are licensed and insured and committed to giving you the best new construction, remodeling, or service experience possible. Not only do we have professional and proficient installers, but we have an experienced showroom staff that can help you find the right products for the best price. Our Mount Pleasant plumbing showroom strives to bring a personal touch to your experience whether it is selecting a kitchen faucet or a house full of fixtures. We can also help provide needed assistance in helping the “do-it-yourselfer” figure out how to repair those difficult plumbing tasks. We try to stock hard to find items you would not normally find in the big box stores.